Welcome to our online catalog. Here you can find everything you need to know about the educational opportunities Stanly has to offer. 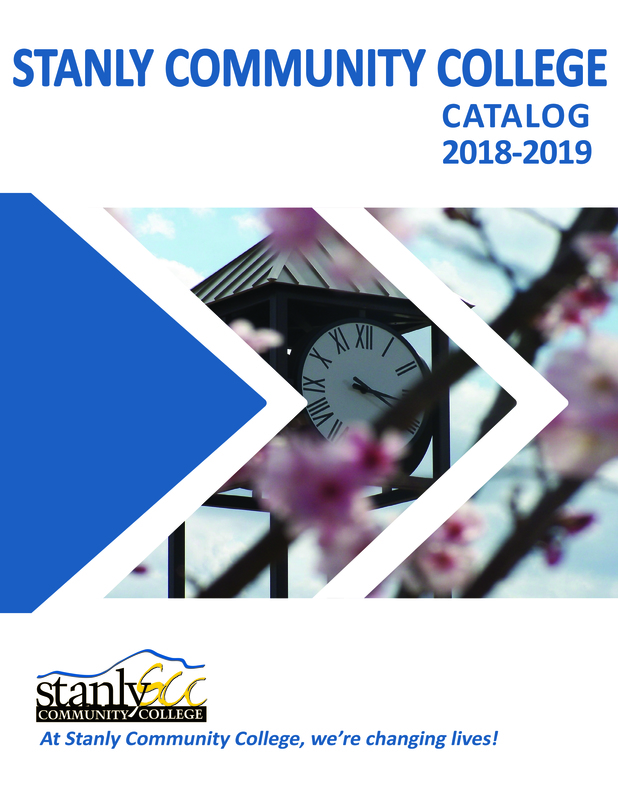 The purpose of the catalog is to furnish prospective students and other interested persons with information about Stanly Community College and its programs. Information contained in this catalog is subject to change without notice and may not be regarded as binding on the institution or the state. Efforts will be made to keep changes to a minimum, but changes in policy, graduation requirements, fees and other charges, curriculum, course structure and content, and other such matters as directed by the North Carolina Community College System or by the local Board of Trustees may occur after publication. Your catalog of record is the catalog that was in effect at the time you chose your current major. We have a complete list of our degrees, diplomas and certificates along with some helpful information to get you started. Program and graduation requirements are based upon the catalog year you entered that program. Current students can login to Self-Service and click on academics. From there click on student planning and planning overview to determine the course requirements for your program of study or any program of study you might be interested in. If not currently admitted to the college please refer to the following list of programs.